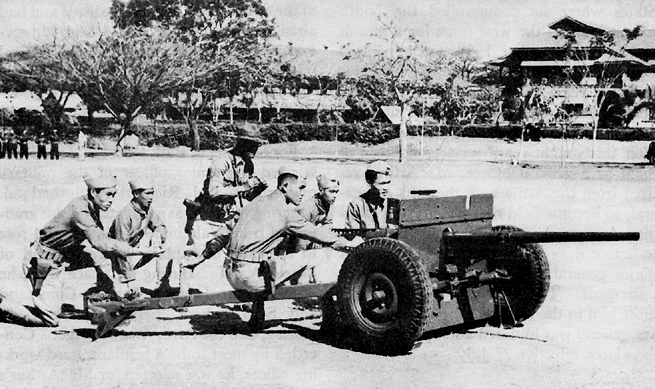 PHILIPPINE SCOUTS at Fort McKinley firing a 37-mm. antitank gun in training. When General MacArthur assumed command of U.S. Army Forces in the Far East, the Philippine Department consisted of 22,- 532 men, 11,972 of whom were Philippine Scouts. Of the 1,340 officers, 775 were reservists on active duty. 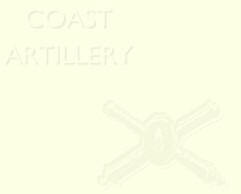 The largest group of men-7,293-was assigned to the infantry, and the Coast Artillery Corps was next with 4,967. Almost the entire strength of the command was stationed on Luzon.